Can you believe it? The Measured Mom is six years old! On Sunday, January 27, I will randomly draw names using the Rafflecopter below. Each winner will receive a coupon for $50 to my online shop. Also this week, I’m offering all my products at 25% off. 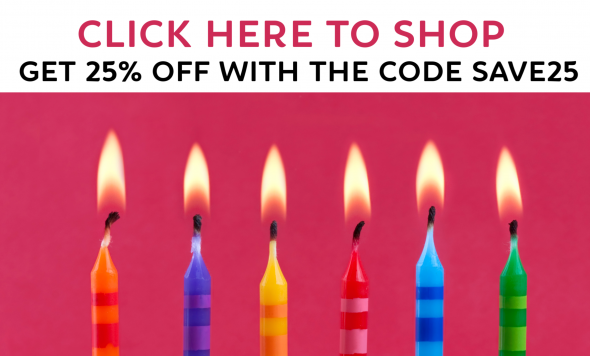 CLICK HERE TO SHOP, and don’t forget to use the code SAVE25 at checkout. I love every product! I have found each one that I use to be extremely helpful! I like the sight word resources and the math games that you create for first grade. They are user friendly, kid pleasing, and ready to use immediately. Thanks very much for all of your hard work. It makes mine just a little bit easier. Every resource I have used with my Intervention students have been great. They love variety and I can always find something new within your shop and freebies. Thank you. I have a special needs child and your worksheets, games, etc… are fantastic and help us in a way that most people wouldn’t understand. Thank you very much for your help. I love the phonics books. They have helped both my special needs child and my typical reader progress in their reading skills. I like that they are short and to the point but still require the child to read a sentence with the target word. I completely agree! The sight word resources as well as the CVC resources have really help my kids as they begin to read! So thankful for these resources! Happy 6th year. I love the weekly emails with new ideas and freebies. Students love the sight word practices. Thanks for helping make planning easy and fun. I love your alphabet worksheets. I also love your emails I receive. I also love the weekly emails! I also love the weekly emails that help me pick out new things that my kids can benefit from. the letter of the week course has been so helpful in finding fun and engaging activities to master the alphabet. thank you!! I love printable reusable games. Especially literary ones. I agree! Love the early literacy worksheets & games! I also love your articles about read alouds! Thank you! I must agree with these folks. I love the games that I can reuse and I enjoy the reading posts. Happy Birthday! Thank you for all you do! I love the games too and the weekly emails! I like the long vowel worksheets and the 4-in-a-Row games. I love the printables as well. I have only just started getting the emails and tried some freebies and I enjoyed them so far! Can’t wait to try more! My most frequently used items are the readers – word families and sight words. I use the alphabet and number pages the most since I work with preschoolers everyday and they need help with the alphabet and numbers. The kids love the pages and they are so excited to do the worksheets when I put them out because they’re so interactive. I love all of the resources! Congratulations on six years of blessing your followers with awesome resources! We appreciate your faithfulness and commitment to the children that we teach. Thank you! I’ve liked everything. I use the alphabet letter activities and the little books each week with the kiddos. I am a 2nd grade teacher. I have approximately have 6 different levels of students in my classroom. I have students who are still learning sounds to letters, students who need additional practice with long vowel words, and students who need help learning their sight words. All of your resources are helpful to my teaching! I look forward to your newsletters and catching up on the going-on’s in your life. Thank you, Anna, for all the wonderful resources you offer. One of my favorite is the clip cards. They are fun and easy to use and the kids love them! Useful printables including the I can write about… illustrated topics that I reduced and copied for my kindergarten students new writing journals. Thank you for your work and creativity! I agree! I was so excited to find a great resource to use and some activities are even FREE!! Thank you!! There are so many fantastic resources. They are great for a teacher who is just starting out (like me!!). Now the 1st grader is still at top level reading, I am working with him on math. However, I just used your awesome movement/letter recognition game and Its very popular. I can’t remember the last thing I downloaded from you, but you have an interesting twist on common activities and thanks for sharing your talents! I use every reading resource I have downloaded! Your resources are the best things I have ever found online! Thank you so much for sharing the wonderful materials and positive messages. i love the freebies and the fresh ideas. have used lots of the sight word readers. I have used many of your activities for my kindergarten intervention groups. I use many of your 1st grade math and reading activities. I am a reading intervention teacher and have just added math to my groups, so any help with teaching math is appreciated! I love your phonics games. So helpful with my kiddos that struggle with vowel teams. I agree. It was so hard for me to choose favorites. In love them all. I love the clipart and the simplicity of the activities for my students. They are simple enough that they can be independent when they are completing activities. I love those lists too!!! I love whenever I have a skill or strategy to find an activity I can come to your sight and find something tto use. I do appreciate that the clipart is more diverse (kids see kids who look like them). Wish list? More math resources, esp. for grades 1-3. More on ways to use manipulatives to teach math. The literacy activities are my favorite! They always give me new and fresh activities to incorporate in my centers as well as ideas to put a spin on current activities. Congratulations ! Completing 6yrs is a great achievement . Really appreciate the hard wok you put and in a way save many of along with some working hours. The e-book on secret of good teaching is really helpful. I like and use almost all the flash cards with my Young ones. the phonics books are perfect in size to hold and in length to be read and finished by the early learners. These are few of your wonderful Creations that many of us use. Have a fruitful and joyful year ahead. All the best. As do I. As a seasoned teacher I find her refreshing for me! I have also loved everything I have used from your site!!! Thanks for doing the footwork to make teaching so much easier! I really like the print and play games! I LOVE your pre K resources. They have been great for a mom who has no idea where to begin teaching a young child. I’ve been using your printables for the last two years, and my two preschoolers are reading pros! I’m so glad for all the help I’ve gotten from you. Thank you! I love the sight word and phonic reading books!!! I also love the sight reader and phonics books. My little guy is so proud of himself when I pull out a new book and he can read “all by myself, Mommy!” Thanks Anna!! I love all of the resources you provide! My favorites are for phonics, grammar, and any of the games or flashcards, for reading or math. My 7 year old daughter loves the games and we recently printed out the children’s dictionary! It’s wonderful! Keep up the good work! it is much appreciated! I used the rhyming cards for one-on-one with my SPED students and they enjoy it. I make them say all the names of the items in the pics before they select the rhyming word. I agree! I use many of your resources with my intervention groups and for tutoring. I used the number and alphabet searches. I used them with my students in middle school special education who are non readers. They are actively working and working independently. They are the best. I LOVE the games for kiddos-resources for reading and mathematics, things that make learning fun for my kiddo! I love the letter of the week and beginning reading match game and tracking cards! I love the literacy products the most because they help me reach my students skill levels which range from K-3. I am a huge fan of the readers. We color code them and keep them in bags and use them during guided reading for reading to ourselves or our friends. It is instant success for my students! I love everything READING! Thanks so much for sharing your time and talents! Your generosity is inspiring! I don’t have a favorite. I love the freebies that are delivered right to my inbox. It makes finding activities so much easier when I am planning learning activities when the kids are not in school or need reinforcement. I love all the editable games and sight word activities! LOVE the problem solving activities!! My class does too!! Thank you! All of your activities are very helpful. I have used so many of them to help my students. The alphabet activities are especially helpful. I also many of your resources. I like the Phonics rhyming cards. I used the downloadable book, ABC’s of Preschool to prepare my son for Kindergarten. I love the many ideas and hands-on ideas to familiarize a pre-schooler with letters and sounds. I have also used many printables from the site as well, clip cards, number recognition games/activities as well. I taught 1st and 4th grades before having kids, and it has been so fun to use the Measured Mom’s resources to prepare my own children for entering school. It is the number one place I go for resources! My students LOVE the Mystery Problem Solving activities. (Dog/Snowman) Can’t wait until the packet is available! I don’t have a particular favorite. I love the freebies, especially when they are delivered right to my inbox. It makes finding activities so much easier when I am planning. These were really helpful getting my Kindergarten classroom started! Thanks for all the great ideas, and centers for use in the classroom. I love all the phonics games. I am always looking for new games for my KGs to play to practice their reading skills. Thanks for all your hard work. I love the emergent readers! Happy Blog Birthday!!! I love all of the resources but I gravitate towards the reading resources for emergent readers the most! Congratulations on six years! Thank you for providing such valuable content and resources. I love the freebies you offer, especially the subscriber freebies! Thank you for all you create! I love the word family activities! Thank you! I love your ideas and products. This website has been so helpful for all three of the grade levels I have taught. I like the emergent readers a lot. I use the phonics mini books a lot as a support for learning teacher. Woohoo! I LOVE your materials! I love all your products! I am a first grade teacher but have range of preschool-2nd grade learners in my classroom and I am always able to find just what I need. I love the no prep printable. Previously, I was teaching 1st grade and used a LOT of your phonics materials. Now I am teaching math and my new favorite is the mystery series (sweater, dog, snowman). My kids are loving them! I use the pre reading activities the most. I recommend your blog to all the teachers I work with. WOW, that’s a tough one to answer, but I think I appreciate the reading/pnonic games the most. Helps students practice reading/phonics in fun ways that support the skill we are learning. I truly appreciate the multiple games that you offer for higher elementary. I use them to supplement materia for students that I tutor and for my own children. I love your products. They are fantastic for teaching basic skills to my exceptional education students. I love all the resources, especially the math freebies! I like the picture/short vowel sound match cards with my newcomer ESL kids! I love the easy printable board games for reading. And also sneak peaks into your daily life! Happy birthday! I have really enjoyed every product I have used of yours! Your guided reading class I took over the summer and it was a game changer for my instruction! This makes teaching easy! I love all the resources. They’re cute and creative! Thank you!! Which resources from The Measured Mom do you like or use the most? Hmmm… Well, I have really enjoyed all of the resources I have used from Measured Mom. Lately I have been using the early reading and math resources more often. I have used many of the wonderful resources that you have provided! It helps me in my planning and the kids love to play the games. Love your resources. So do my grade 1 students! Thanks for sharing! The fall editable spelling game was a big hit with the kiddos I tutor. Thank you! I love the editable resources! As a special ed teacher, sometimes my students don’t yet have all the skills needed to play some of the premade games, so being able to edit them to fit their current skill set is really awesome! I love everything about your site and use it DAILY! My favorite is all the reading/letter materials, but a close second is your math. You have some FABULOUS ideas!! I love your reading activities that go with different vowel and phonics patterns. Whenever I am in need of some fun games or activities, I go to your website and always find the perfect thing. My students love your four in a row vowel games! Thank you for sharing so many of your great products for free! Congratulations on 6 years! I enjoy using many of your resources, but my favorites are your writing folder resources. I love your word family resources! Happy Birthday! Thank you for all your freebies. I collect and print these for my 3 year old granddaughter. She loves them. Thank you. I love so many if your products but I would have to say I love the cvc fluency sheets. I love everything I have gotten through Measured Mom! I love the picture sort for beginning sounds (with pictures). I have my kindies sort objects by their sounds and then followup with your picture sort (so that we move from actual objects to pictures). It’s something they love to do too! I love the variety of FREE resources you share! Your Math games have been a hit! I love all your reading and math activities! You don’t know how much of a blessing it is to have your resources. They are so helpful. Thank you so much for sharing with your fellow teachers. I love the cvc clip cards ! They are so helpful ! I refer to your site so often it’s hard to choose a favorite. I love your word family activities, printable readers, sight word everything….big letter alphabet cards ….it’s hard to decide. I use lots of resources, but I return again and again to the clip cards. They work on so many skills, and the kids love them! My kids love the digraph games! I can’t name just one product because I have been able to use so many! The phonics printables made for centers are wonderful along with the handwriting printables, nonfiction readers, and a lot of the math printables. Love them all! I love all the free resources for my kindergartner! I use the alphabet resources and many, many of the phonics centers. I really love the newest product-the problem solving snowmen, too! I have used your materials and can’t imagine where I’d be if I hadn’t found them about five years ago while searching for literacy plans! I love the rhyming and phonics books!! As an interventionist, I use A LOT of your materials to differentiate for all my readers. They love the activities and are fully engaged! Thank you so much! I love the editable games! We enjoy the Reading Comprehension pack and of course all the freebies you send our way! I love all the teaching resources! They’re perfect for my primary classroom! Thank you and Happy Birthday! I love all of the rhyming resources. But really, there are very few things I have found on here that I don’t love. They are so easy to use and also look appealing and not like I ripped it out of a 90’s math textbook. 🙂 Thank you for all that you do! Everything is great! Your website is a wealth of knowledge and practical activities that fit right into what I’m teaching — as well as resources that I can use to fit the needs of all of my 1st graders. Thank you & happy birthday! As a tutor, I use many of your resources. I especially love the math and reading resources. You take the time to make sure everything is differentiated for every level. Thank you so much! I love everything! I probably use your reading/phonics materials the most! The free resources are wonderful!! Love, Love, LOVE your resources! If I’m looking for something, I always check your site. Thank you for sharing all that you do! I love the games for vowel sounds and the reading materials for older children as well as the sight word materials. Have you a post with your blog story? How the you start ?? I like the differentiated reading passages with comprehension questions. Thanks for creating such useful content! I love all the materials! Love the resources that are differentiated to suit a variety of learning needs. Thanks you. CONGRATULATIONS! I love your Sight words, Writing, Reading, Math worksheets and of course your Freebies! I love your rhyming activities and the other reading activities. Thanks for your time saving resources! I love everything! I use the sight word cards with the sentences on them almost everyday with some of my reading groups! Hard to choose a favourite. Great blog, freebies and products. Thanks for all your hard work! i love your blog! I recently printed off a MLK day activity but I also love your upper and lowercase letter activities. Thank you for all the work that you put in to this! I taught for almost 10 years and then took 10 years “off” to stay home with my babies. Now I’m back and feel like a brand new teacher again. It’s so nice to be able to use some of your resources for my classroom. Your sight word book sets are my favorite! I teach several ages and all levels of English language Learners in Israel, the kids particularly love the silly sentences where they have to put together funny sentences. Also the mini books of word families and blends are a bit hit in my classroom. The other day I changed the vowel family books to the next level (books 6-10). Immediately the kids asked if they could do another reading marathon and read the new books. They love putting stickers on the chart next to their name for each book they read. I love the reading resources the best but usually can find a student to use other math activities. I love the free math games that are ready to go. My students enjoy playing games and I like the no prep so parent helpers can play with a small group. I hit send too soon. I love all your phonics activities and books. Happy Birthday! Love all the free printables you have! Love all the resources on This site!! Congratulations!!! Thank you for all the awesome resources especially the freebies. I teach kindergarten and all the ones that I have downloaded has been a great use for my students. I really love the phonics printables. The sight word and phonics readers are also brilliant. Congrats on six years. I like naything that helps me incorporoate learning/curricula in OT, pre-writing/writing, the ABS’s, sight words, counting etc as I am working with younger grades plus I enjoy the freebies as I am in 4 schools. I love all the freebies, especially during my first year teaching 1st grade! I just moved form K to PreK and I really love all your materials. Right now we are loving the minibooks and also the letters to trace. The different sizes are really helpful. Love all of the resources! Are use your literacy activities and games the most. They are great independent center activities for my first graders to practice skills. I find all your math resources very useful!! Thanks!! Happy birthday!! Thank you for sharing amazing, quality resources for parents and teachers! Thank you so very much for all of the quality ideas and materials that you share! You put a lot of time and effort in to make our lives easier, and for that, I’m VERY grateful! Amazing tools for working with your children at home. Thank you! We use so many resources from The Measured Mom. We love the math and reading resources from our 2nd grader. All of the phonics resources on here are AMAZING! I use a lot of them in stations because they are so easy for my kiddos to use on their own. Thank you for all the great freebies too. I started homeschool preschool with my son in July 2018. I’ve read and used lots of blogs throughout the last several months, but yours is one of the few that I have stuck with from the beginning of my journey! Since July, I’ve also started my own blog and have linked to yours. Some of my favorite resources that you offer are the My Mini Alphabet Flipbook. My son reads and adds a page to his flipbook each week! I also love your handwriting and alphabet printables. I love more than just those, but those things are what we are focusing on now. Thank you so much for offering so many freebies! I’m a single mom of three on a budget! I’m an ESL teacher and I appreciate your creativity with your activities and ideas for the classroom. Thanks! I most like the seasonal freebies and the ready to print sight word, CVC, and math games. I agree! These are my favorites!! I love every single resource you post and my students have been enjoying them! I love the print and go activities! I’ve enjoyed the beginning reading lessons the most so far! I love all the activities I can use to help my struggling readers. The organization is fabulous! I love using all of the pre-school materials. They are life savers for me working with my 3 year old granddaughter. I love your math bingo resources as well as so many of your phonics resources. You have the BEST printables and are so generous to give so many away for FREE!! I use your ABCs and free printables the most. Thanks for making those available to us! Happy blog birthday! I absolutely LOVE your letters of all sizes worksheets. My students love them too & look forward to it every week. Thank you so much for all you do!!!!! I love your early reader books. My daughters learned to read using them. They are both two years ahead in reading now. I also use them in my classroom. Thank you! To be totally honest, I love the freebies. We have such limited resources and being a special needs classroom, we have to adapt almost everything. Your worksheets and games are always something we can use for our K-2 class! I love the clip cards! They combine mental and physical effort and the kids have FUN!! Thanks for taking care of all of us and Happy Birthday! Wishing you many wonderful years to come! I love a lot of your reading resources. I love your 3rd-5th grade resources, I haven’t come across a lot of games or activities for older grades and with a kinesthetic learner I need all the activities I can get my hands on! Thanks so much! I pretty much like all of them! Love the sight word activities! Thank you (and happy birthday!)!! The phonics resources are invaluable! They help me with targeted instruction in my guided reading groups. I love the Letter of the Week curriculum! I have enjoyed your phonics and reading materials! So glad you have provided your talent and resources with us! Happy Birthday! I have enjoyed using the phonics and sight word printables and readers. Thank you for your creativity and sharing this very useful resources. I love the multiplication single player bingo very much. You created it according to each time table, it helped my son to master his time table very well. I also love to hear read your email about your day. It gives me a glimpse that all mommies struggles and how you overcome those days, inspired me. Thank you for sharing and keep it up! I just found you while looking for word families or “chunking”- thank you! I’ve been trying to help my 3rd grade son gain confidence. He’s not a testing kind of kid, Classwork is also a challenge for him. I of course appreciate the freebies, but having great quality materials on hand makes finding activities to help him so much easier. Up for the moment we use your letter tracing book. Thank you very much for it! Congratulations on turning 6! I appreciate all of the hard work you do. I use your resources with my daughter and my students. I love the games for my small groups. They are so helpful. They have made a difference. Thanks so much and happy birthday 🎈!!! The phonics and emergent readers are great! The mystery series has been a wonderful challenge after the mid-morning break! Thank you. Your blog has been a wonderful resource for finding classroom games and strategies for my first graders! Thank you! I love your literacy and phonics activities! Your book lists relating to certain themes and topics have also aided me in finding great resources that are applicable to my class group! I love your multiplication bingo! Happy Birthday! We use the emergent readers and word family activities at morning centres the most. Love all the wonderful ideas that I can never ever think of! Print and cut activities are my fave! Happy 6 years! It would be great to win some of your educational products. I love all your free printables and your blog has been a great resource for me as a homeschool mom. Thank you. Every product I have come across has been great! And thanks for the freebies! I LOVE LOVE the phonics emergent reader books!!!!! They have been a lifesaver! thank you so much!! I tutor and have used many of your products. Lately I’ve been tutoring children in preK, K, and 1st grade, so have used a lot of phonics stuff. Just added some 2nd and 3rd graders, so will enjoy looking at some of the things for older children. I teach some Syrian refugee children. They love the little printable books, especially anything to do with the monsters. It’s great you can get printable for both sight words and phonics. The Letter of the Week curriculum has been the *best* investment for our family. I homeschooled my daughter for preschool, and this curriculum worked wonderfully for us. I especially appreciate how Anna includes information both in the curriculum and on her blog on how activities looked differently for her various aged kids. I could easily adapt activities to include my two-year-old boy. Happy Blog Birthday! I appreciate all the free resources you have made, thanks so much! Congratulations! Although I love many of your resources, the phonics ones are my favorite. Sometimes I’m looking for something in particular and an email will come with just the thing I was looking for. I love all the different type of games: sight words and math, especially! I work with kids with diagnoses that make learning in a traditional setting difficult. Offering games to support their learning is a great way to firm up their skills in a way their active brains and bodies can tolerate! I use all your language arts games. I teach first grade and I love them! We love the addition, subtraction game board. Thank you for the great resources. I love the math 5 in a row games. Thanks again! I was new to kindergarten 3 years ago. I moved down from the 4th grade. Teaching reading was a struggle for me until I discovered your site. I didn’t realize it’s been only 6 years for you. Happy Birthday 🎂! I love EVERYTHING but if I have to pick, it’s the word family and phonics material. It has really helped my struggling EL’s. Thanks for all your help these past few years! Love your page and site! So many great ideas and resources! I love all your reading games. They hit the skills I teach in a fun way. I use the Roll a Digraph/Blend/Short Vowel ones every week! I own so many of your resources, but my favorites are always those created with real photos. I use the 500 vocabulary picture cards on a regular basis for vocabulary and language skills development with my ELLs. Great for sorting and pocket chart sentences. The quality of the images is excellent! I love the weekly emails and the freebies. Thank you for all your hard work! Happy 6th anniversary! My favorite would be all the materials for the alphabet!! I use them all the time in my room! I love all of the materials that I’ve tried; however, I find that I use the phonics games and sight word activities the most. My students love the Four in a Row games! I love all your printables, but my favorite are definitely the phonics ones. Congrats on six years!! God bless you for all your hard work! I use lots of your alphabet resources, especially this year with 3 students who had no prior English language experience. I really like the maths games- great for my class and such a brilliant time saver for me! Congrats!!! We use everything but especially love the sight word readers and color me emergent readers. Thank you and here’s to many more years!!! I have really enjoyed receiving all the great learning resources and ideas be email! Our favorites so far have been the letter and number tracking cards, as well as the rhyming board games. As my kids get older I’ll be looking here for many teaching ideas! I love all of your resources. I have used so many of them in my classroom! Thank you for all of your hard work on them! Happy 6th anniversary on your blog. Love using the sight word reading books with my kindergarten esl students. The kids love reading them. My students and I also really enjoyed the mystery sweaters. I used it with my second graders and 4th grade bilingual students. It eased a big hit. This is my go to sight. Love it!!! Congrats on six years! I enjoy the word family activities!! I love your phonics resources! Happy Birthday!! I love getting your newsletter, it has great resources and ideas. My favorite is the inspirational words. May you have another great year!! I love the letter a week curriculum. I am going to go back over them with my 5 year old as she starts K in August. Also my 2.5 year old also loves doing what her big sister does. Love the variety and ease of use of your learning games. Simple,effective and FUN! I like all of your resources, but I’ve used math the most, as that’s mostly what I’ve been teaching since I subscribed. I love all of them. The pictures are very unique and neat. I love so many of your activities! Alphabet (saving for the Alphabet Curriculum), phonics, and just saw your Preschool Math at Home packet! I really love the games that you create. Especially that you make them for a range of learners! I love your blog and have shared it with many of my colleagues. My students love your do- a-dot games. I love ALL of your reading games, and math games too! I love your letter recognition and counting printables and mats. Also the letter of the week and sorting activities. They have helped so much with my preschoolers!! Thank you for all you do!!! I’ve enjoyed all the resources you’ve created. My daughter has benefited tremendously. Any Sight Word products. Happy Birthday! Happy blog anniversary! I love all your resources especially phonics resources. Thank you very much for sharing all these amazing resources. I love your Four in a Row games! Thank you for sharing so many wonderful ideas and activities! Happy Birthday!!! Thanks for all of these helpful resources!! Happy 6th birthday! I love all the products downloaded from your site. Children enjoyed the rhyming activities the most! Thanks for your great work! We enjoy the phonics and site word games! Thanks!! So far I have already purchased your Letter of the Week Packet. I have been using it for my 3yro. He seems to like the activities and is learning more letters all the time. Your blog posts / emails have also been helpful. I’m new to the homeschool thing but I feel I have learned so much from your site already. The Teaching Every Reader course is amazing!!! Love any preschool resources! Thanks for all the learning activities that help me run a family child care business! Thanks for the giveaway! I love the sight word readers and the phonics readers!! Love your phonics books for word families. You have so many great resources, I use them all the time in my intervention groups. I love all the freebies, especially the phonemic awareness and phonics stuff! I purchased the letter of the week for my 3 year old and she loves it! She always asks to play with the apple play dough mat. She loves to roll the dice and add “apples” to the tree! Thank you for a wonderful product that my kid enjoys! Happy 6th Birthday!!! I love the emergent readers… thank you so much for sharing! I love your printables for my 6 year old! I love the counting products. My son has loved everything and is counting like a pro! Thank you providing awesome freebies and giving us the best advice! I like all your resources, don’t have a favorite. Happy 6th birthday! I love the weekly emails with links to your freebies! I particularly love your literacy activities, just played block out initial letters activity with both my almost 6 and almost 4 year old boys! Also love the alphabet letters that my boys use bingo markers ( in Australia) to find them dot the correct capital and lowercase letter then colour in the picture! I love all your emergent reading and math activities. I have been working with some significant needs students and have a wide variety of activities that reinforce emergent skills is fabulous! Thank you for sharing such wonderful resources! I love your blog and I think I’ve been using it for 6 years! You have helped me be a better teacher (and mom). Just realized that I was supposed to comment on my favorite resource. I use sooo many of your resources that it’s hard to pick just one! But, I do love your short vowel write the room activities, elkonin boxes, and use many of your math games for my centers. Thank you so much! Thank you very much for all the printables! My son loves them all and does the worksheets with no fuss! I love every product, but the 25 Nursery Rhyme books and the Letter of the Week are my favs!!!! I love using your find a letter activities to help my young learners identify their letters! I use so many of your resources in my classroom and don’t have a favorite as they are all very helpful! I use the phonemic awareness resources the most, they are fantastic and my students love them. Thank you!! Happy 6th birthday! Your resources have been so helpful both in teaching English to my students here in Japan, and in furthering my own kids English education. Thank you so much! Happy Birthday! :) Thank you so much your work! Thank you for all your hard work. My students and I love your products! I love your alphabet and letter sound activities! First, “THANK YOU” so much for sharing your wonderful resources. I’ve been teaching for over 20 years and I’m still growing and learning everyday. Your resources have saved me so much time and helped me provide more hands on materials for my students while meeting their individual needs. I love the sight word activities. My kiddos ask to “play the games” often, they don’t even realize they’re learning. I am a fan of all of your resources though! Oh gosh, I can’t pick just one! I love the freebies delivered straight to my inbox. I also love all the informative posts/emails you send about teaching littles to read. As a 2nd year, 2nd career teacher, it truly has helped me so much! I love the Phonics readers! All your materials,learning skills,freebies and your daily activities meant so much to me and my students and I:m praying for God through Christ Jesus to continue to give you wisdom,knowledge,and understanding to enlighten the world with such a Lordable teaching gifts.Staybless. Six years! Wow. I feel like I found your page/resource just about that long ago. At the time, I was a stay at home mom with an almost 1 year old. I was looking for things to do at home with him to promote early learning. Your site was a gift! One of my favorites are the little letter books and site word books. We have numerous printed for on hand use. Thank you for all you do. My students are loving having their own dictionaries to collect words. Thank you for all your great products! I love all of the resources here! Anything that brings fun and creativity to learning, especially the way Anna does it, is exactly right for us! I love so many of your resources, but particularly like the games based resources to practise skills such as Roll a Rhyme, the Opposites Board Game. and the Give Me a Clue spelling game. I also love the Vocab journal. Thanks! Congrats on six years!! I love the weekly emails and the freebies in them. I also love seeing your ideas! Thanks for all your hard work! I am using your letter of the week curriculum with my daughter, and we love it! I’m new to the site but I love everything I’ve seen so far. My students and I love the Phonics and Sight Word Readers. They gain confidnce when reading these books and always finish reading with that I did it smile! I love to use your letter of the week resources! Thanks for all you do, Anna! I use the sight word resources frequently with my tutoring students AND in a volunteer reading program at a local school…the kids love them! Your materials are always high quality and professional, but my very favorites are those that include vocabulary resources using real photos. They help my students so much! Thanks! I am appreciative to find items that I do not have to recreate, and tips I can use to make life easier. Thanks a million for your creativity and knowledge. Everything I’ve acquired from this site has been implemented in some fashion in my classroom. You don’t promise one thing and deliver another. You share quality products! If I HAD to narrow it down to one, I suppose it would have to be the editable sight word materials. I found this website early last year and it was amazing! You are so generous to offer so many freebies! Your emails always come when I am planning which is amazing and makes it even easier! I love everything but if I had to choose one resource I would say the letter sound cut and paste activities. I love ANYTHING you post having to do with math. And it’s ALL Good!! I love everything about your page. Thanks for all the work you do. I love using a lot of the ideas you have for toddlers. I use them with my granddaughter and they’re really helping her to learn her letters and numbers. Thank you so much for all your wonderful and cute ideas! I love everything you offer, but especially love the games! Thanks for all you do. For my 5 year old, she loves the sight word worksheets. I have two different favorite resources: the sight word worksheets where you color (or use a Bingo dauber) to find the word, and the addition and multiplication game where students answer questions and cover a circle. Thanks!! I use the number clip cards the most but I love everything I’ve downloaded so far. I enjoy reading your blogs and using your products. Congragulations on 6 years. I am a first grade teacher and I mostly use resources for my guided reading groups (digraphs, blends, etc.) . I also have used some of the math games. I enjoy all of your resources but what I appreciate most of all is the confidence in getting educationally sound resources and advice. I love everything I have but really enjoy your math and ela games. And the editable ones also! I like all the your resources, especially the practice writing letters and numbers. 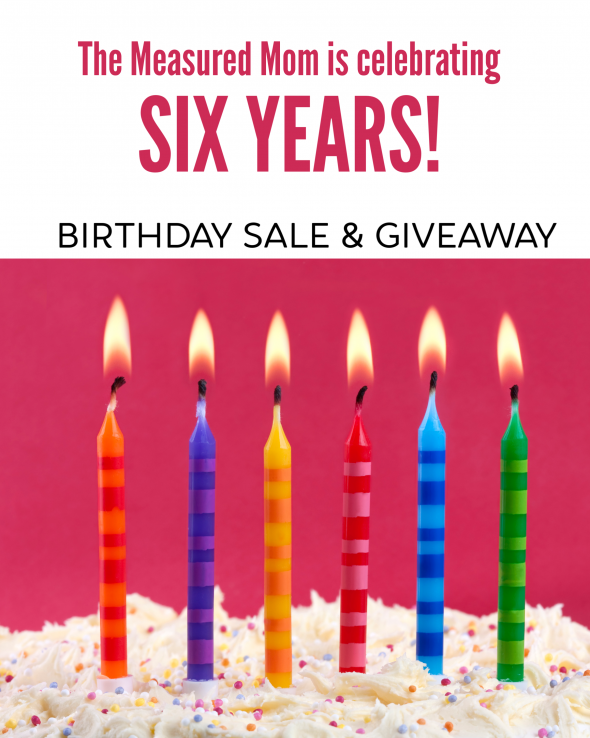 Happy Sixth Blog Birthday! Thanks to you and the tools you’ve put together, my classroom loves to stay busy with activities, stations, and worksheets! I know you must feel as blessed as I do, (probably more than me), for reaching so many students with all kinds of learning potential and struggles! We are ever grateful to you for investing in our classrooms and students! Keep up the excellent work! Currently tot schooling my 2 year old. Your activities are his favorite thing to do together each day. Thank you for this awesome collection of fun activities. Congratulations on 6 years! We love your 4 in a row board games and your other printable board games for our literacy stations! I love working on social skills and academics at the same time! Partner games for the win! I use the phonics mini books quite often! I also love the alphabet worksheets. I love your phonics games! The kids really enjoy them. Love the sight word stuff the most but all you have is great! I love your phonics printables! I love the amount of resources offered here! I use many of your phonics and phonemic awareness resources to focus on certain skills during guided reading groups (kindergarten). I use the alphabet books and anything that can help young readers! I like rhyming items and also math games for 5 year olds! I’ve been using the phonics worksheets (cut & paste, find the spelling, etc) and the vowel games in my first grade class. The kids love them. I love the variety. I am a K-2 interventionist and need a wide range of materials for both reading and math. Love that I can come to your site and find everything I need! I have especially enjoyed using your printables that are geared toward pre-k. I love all of the different phonics games, fluency items, and math games. Essentially though I love everything for K-2 age group! My kids love the tracing numbers sheets. I enjoy all the resources. I have used the phonics and sight word readers in particular. Love all the resources. I use them in my first grade class. I appreciate your phonics resources for grade 1 students! All of your work is fantastic and I use most of the. Love your site. I really enjoy the reading for k-1. Use them a lot for my lower level students. As a reading teacher I use your phonemic awareness, phonics, and reading materials and love them all! First of all, I hope that you have a wonderful birthday!! I love your free printables. Turning them into file folder activities with children that have special needs makes this fun for me and my students. I love all of them but the most helpful are materials about phonics and reading . We are homeschooling family from Poland 🙂 Kids love your games! Congratulations on six years! I have used many of your products in my classroom. Happy Birthday! Thanks for all that you share. Definitely the sight word practices and as any teacher would say “The Freebies” are a must for those of us that spend our own money on supplies for our kiddos! I am a huge fan of all your reading products. These really help me in my special education program because I teach several different grade levels of reading each day. Thank you for all you do!! I love anything phonics related! They are so creative, colourful, and fun! I love all of the clip cards – for alphabet letters, blends, rhyming and the 5 senses. These are great for Fast Finishers and for improving students’ muscles! I really like the free handwriting pages; the pictures are great for my daughter. My favorite resources are the phonics readers! My students love them and they’re easy to make. Thanks! I really enjoy the language and literacy printables. I not only use them in the class, I use them at home with my son. Happy Birthday! I have told every educator I know about your wonderful blog and products. Thank you for sharing your creative talents. The real vs. silly word game is one we use every Monday, Wednesday, Friday! Love so many of your things, but your decodable books are a great resource since my district is looking at the Science of Reading. I love all of your literacy resources! love everything you show us very helpful thank you. I like the rhyming word resources. Love the literacy resources especially the sight word printable. I happened to come across your blog while searching for teaching materials for my 2yo girl. Amazing and very informative blog you have! Right now I am using the write the room activities…my kinders love them! I use many of your resources in my literacy and math centres in Kindergarten. Just today I printed and laminated the clip it rhyming activity. So nice to have activities that I don’t have to continuously teach how to use but just switch out the content. Thank you. I use the ABC printables. Love the short vowel word sliders! Enjoyed going through your A-Z resources with my preschooler. Love your book lists. We have also had a lot of fun with the games available. What I love is that the resources can be used for older students who need a little more practice and not just for the younger ones. Thank you for all the freebies you give out. I am a pre-k teacher and appreciate all your free products. It helps so much!!!! I love the phonic activites! You have so many wonderful resources it is hard to choose my favorites! I do find the no-prep printable games really helpful with the diverse learners I have as a special education teacher. Happy Birthday! A big THANK YOU for sharing so freely with the rest of us! I’ve used several of the pre-K activities with kindergarten students who need another go at the lesson content. THANK YOU! Happy Birthday! I just love your site…the products that you offer are amazing. My daughter has greatly benefited from you resources! Thank you!! I am looking at the Teaching Writing K-2 resource (we don’t have a writing curriculum) but many of yours would be awesome! Congratulations on your 6 years!!! Congratulations on 6 years! I have used the early math printables the most. There are a lot of games I want to try, also! I love the reading and math games and task boxes that you have created! My room is filled with them and my kinders enjoy the activities! I love the 4 in a row games. My students just can;t get enough of them this year – and I use the mini erasers from Target to make them more engaging. I like the letter tracing cards! I love everything but the most useful things on the Measured Mom are the phonics activities which I can use for centres in my JK classroom. You’ve inspired me and given me so many great ideas! Thank you for everything! I love all the products you’ve designed and shared with us. I have used many of them with my students. Happy Anniversary! I love all the preschool stuff!!! I am using your ABC learning resources. I like the letter and number recognition pages, as well as the sight word work. I have a class of special needs students and these are perfect for the beginning writers! I have used the dog out of the great math games/activities that I have gotten from you and I eagerly look forward to anything that you create in the math area of 1st/2nd grade. all the resources r wonderful nvery useful. i especially like the phonics n sight words activities which r still helping my son to learn efficiently. I’m a retired first grade teacher who now loves printing out activities for my 3 year old grandson when I babysit. You make our days fun and educational. He especially loves the dice games. Congrats on six years of doing this! I love your readers and phonics materials! Every product I’ve downloaded is top quality and so perfect for what I need in my Kindergarten classroom for Center Work and RTII. I just recently subscribed to your e-mails and I am a student studying to become a teacher and I have two young children. I am excited to use your resources to aid me in my home and classroom! Thank you! You have so many great free resources that I use in phonics, phonemic awareness, sight words, and math! Great games too! I love all of your resources. I teach kindergarten and I love how you can kick it up a notch or bring it down to fit all the learners in the classroom. I love all the resources you offer, especially the phonics. I also really love the family updates, so nice to hear what your little family is up too. We are fairly new here but I love the resources to assist in teaching my toddler the alphabet. He has loved the letter of the week method. Thanks! Happy birthday! I’ve been a big fan for awhile now. I love your printable games-especially math. It makes the subject fun! I love all printables but especially the math ones! Love all of the products I have used! Happy 6th birthday! I am a reading interventionist and absolutely love your phonics activities! Some of my favorites are your beginning sound coloring pages, CVC games & activites, letter and sound cut and paste pages, and rhyming activities. Thank you so much for all that you do for educators! I use your free printables the most. I appreciate the time you have put into making all your products. THANKS! Happy Birthday! Love all of your resources! My current favorite is the Letter if the Week Curriculum you put together. Love having everything in one spot. Saves this mama some time and my little ones love doing the activities. Thanks for all you do and for the awesome freebies you are always sharing! I have loved the measured mom for 5 years now. What first hooked me was the letter of the week book lists and the letter of the week songs and rhymes. Since then I have used many of the resources, but probably love the book lists the most. Congrats on your 6 year anniversary!! Thanks for all your hard work. I really appreciate it!!! I love the Fast and Fluent Games-CVC Words and my students love them as well. Thank you! We use a lot of your sight word games. We also discovered the Ugly Sweater activity last month, and look forward to using the dogs and snowmen! I use the phonics games with my kindergartners. Love them. I love the sight word printable! It helps my special ed. kids a lot. Thank you for your hard work to create the resource! I love the printables and the letter of the week curriculum. I always find fun, ideas to incorporate into my classroom. Thank you for all of your materials! Love the reading section the most.. it’s easy to used even for non English speaker.. Happy 6th birthday!! I love your freebies! I just purchased the letter of the week curriculum this year and absolutely love it! I have seen results in the form of learning, laughter, and more participation than I have seen in my last 16 years of teaching. For that I thank you! Your word family, sight words and math activities are fantastic! I use so many of your resources, but I especially love the variety of phonics games and worksheets that I use to support my second graders. It actually makes learning phonics fun and meaningful! The Letter of the Week Curriculum! So many choices of activities to choose from! It’s great! The handwriting resources and hands-on activities for reading and writing have been invaluable for me with my own kids and the children I work with in reading intervention programs. Thamk you! Happy Birthday! I’ve enjoyed and appreciated so many of your resources, but I think the sight word and phonics readers have been my favorite so far! I really love the math section. I’m teaching my son how to read and love how many resources you’ve made! Right now we’re using the short and long vowel games. Games are always a hit with him. My kids loved the letter of the week curriculum and i really appreciate the book lists. My personal fav tho wud have to be the peek at ur week i get to my email… It really makes the daily rush feel both normal and survivable somehow. Congrats on 6 yrs and thank u! I love your resources especially all of the free resources. I LOVE ALL OF YOUR PRINTABLES! THEY HAVE BEEN SO HELPFUL IN OUR HOMESCHOOL DAYS! THANK YOU!!!!!!!!!!! My boys love to do the dot pages with the bingo markers. Games about sounds and spelling are my favorite. I have used several of your resources. My students love all of them. You make teaching and learning fun and enjoyable. Thanks!!!! I’m not sure I could narrow my likes down to one or two products. I can honestly say, you have been a life saver! We love the phonics and early reader games! Race to the Pond is my son’s favorite! It’s hard to choose what I like or use the most. I absolutely rely on your book lists for my lessons and to build up my library and I love your mini letter books with the songs and poems. You are an invaluable resource for me and my classroom! Happy Birthday! I have been using your resources for three years now and it is so difficult to say which is my favorite. I use your games as homework once a week. Each student takes one home (all laminated of course) and plays it with their family. Parents love this assignment. By the end of the school year they will have a collection of games to practice phonics and math all summer long. I love, love, love, you word family books. I use them all the time in teaching reading. Thank you for all your work and the excellent resources you share with us. I love all the printables – especially the readers! Thanks for sharing your resources. It is very helpful in teaching my 2 year old and 4 year old. I love your letter sound activities! I use them everyday with my after school tutoring group! Thank you. I use many of your resources in small groups with my students with special needs. I can almost always find something that will work. I recommend you to coworkers as well. I love them all. My students really love the Four In A Row games. I love everything you have for preschoolers. My daughter loves your letter of the week activities. Thank you! I love the games and sight word activities, but everything has been fantastic!! I love all your academic printables! I love the fun ideas to get kids to learn through play! And they don’t even realize that they are learning ! Thank you so much for your ideas and printables! I work with inner city students. Your materials are great to use and share with my students:) Thank you! I love all your no prep reading games and my students do too! I love your site! My colleague and I use your site for all our phonics and sight word activities. My most used resources are the readers, but all your printables are excellent and very useful. Thank you for your hard work and creativity. I use the multiplication freebies all of the time. Happy Birthday! I love them all and so do my students. Thanks for all the wonderful resources. I have recommended your site to several friends. I love the phonics readers! I couldn’t find books at this beginner level anywhere else. The sets are so well organized and my students are really enjoying reading them. They don’t want to stop! I’m looking forward to using the Letter of the week with my preschooler. I love the handwriting sheets! I love using the vowel worksheets. Thanks!! I love everything! I especially love the printable math games. Thank you so much! I’d like to have the 25 Nursery Books and Posters Unit. Thanks for the giveaway and congrats on 6 years. Happy Birthday!!!! Congrats on six years! Love your blog & all the printables! I am currently using your Letter of the Week curriculum with my preschooler! We love the wide variety of activities! We loved the Letter of the Week Curriculum and are currently enjoying the sight word and phonics readers. We have used more free resources that we could possibly count! I am a veteran teacher but new to first grade so everything is new to me. I appreciate all the ideas! Congratulations! Honestly, I love your keeping it real days about your family. I love getting new ideas from others in managing life at home. I also do love your hands on activities. I love being able to print, laminate and use without collecting a ton of other resources to use with them. Thank you! I love the phonics or word work activities! My struggling first graders love your “find the letter” dot pages! Thank you! Dear Anna, I like the resources that you create for learning letters and for different themes,such as A_Z alphabet worksheet, color-cut-glue letter pages, color me readers etc. My baby loves to color, cut and paste. Thank you so much. All your phonics worksheets are amazing! The games are so helpful. Easy to teach, fun to play, and great for small groups. I love all the rhyming and phonics printables. The products I use the most are the phonological awareness products. I particularly love the rhyming matching mats and also the first sound matching mats. Thank you for providing such cute an helpful games for students! I love all of the print and play games! I use a lot of the math and early language arts/vowel/word worksheets and resources. I really love the editable games that I can tailor to the needs of each of my students as a Resource teacher. I completely agree with you. I had been teaching 4K and now this year I have 2nd graders. I have used many of the math games in my Math centers. Congrats on 6 years. I hope you’re around for many more. My favorite things from this website have got to be the letter of the week curriculum. I bought it last year and I absolutely love it. For freebies the spelling folder has got to be my favorite. Happy Birthday!! I’ve been using your resources for over 7 years now! With multiple children. Thank you so much for all you do to help me teach my children! I love the CVC games and beginning blends. These have made my planning quicker and easier. Thanks a lot for all your hard work and investment. God bless you! Your center ideas are great! I love that the activities are engaging and age appropriate. I love so many of your resources, but this week I’m introducing your letter find sheets to my 4K students, so I’ll stay that one! Every year my students enjoy looking for letters and practicing kindergarten skills! Happy 6th birthday! Congratulations! I love so many resources on your blog, especially your games. Love your printables, great ideas for teaching and helpful ideas when I have a problem that I cannot solve. I love using your flashcards and worksheets for my one on one activities with my kids. From one mommy to another…. your blog and resources are my favorite! I use both at home with my babies (2 and 5) and at school with my kinders! I love the word family and long and short vowel printable readers. I love all your products and am so happy I found your blog. I use the books more than anything because they target specific skills that I want the students to practice within text instead of in isolation. I love the differentiated readers!! I have used many of your prereading activities with my grandson and students I work with. They are very engaging and creative. I love the sight word games!! I can’t choose which product I love the most. I have used so many different ones for my reading groups! I love the ABC resources and sight word games. By kids like the beginning sound sorting. The Syllable clips and syllable sorting are favorites within my classroom. I also like the sight word books. The number recognition activities and patterning activities are favorites as well. I’m fairly new to the site and just started exploring, but so far I’ve enjoyed using the themed pocket chart activities for my classroom. It’s perfect for them! As a special education teacher, I find your sight word and number recognition resources very helpful. My students enjoy them and I love that I don’t have to reinvent the wheel do to speak! Thank you and HaPpY 6th Anniversary! Happy 6th Birthday. There is so much to like! I really like your games because they reinforce the phonics sound or the maths concept that is being worked on and the students love them. They don’t realise that they are working and learning! The games are such a good motivational tool too! Thank you for all of your work. I use your math games the most and love the clever clip art. I have been using the preschool level math activities. I am a huge fan. Thank you so much for all the resources that you share. As a first year teacher I truly appreciate them and learn a lot from your blog. I will definitely buy some of the resources while you have them on sale. Congratulations on your blog completing six years! All the best to many more! Happy Birthday! All the things that I have found on your website is extremely helpful and totally AWESOME! Another plus side is that my students absolutely love it! I’ve enjoyed using your various themed units and most recently, the sight word games. Thanks for so many great resources! I love all your wonderful freebies and phonics worksheets & games. They have been so incredibly helpful! Happy birthday! Thanks for sharing all of your fabulous work. I especially love all of the print and play games – so handy to have and even better they are all 1 player so no arguments about losing! Happy 6 year!!!! I love your Alphabet worksheet!!! I love everything that I have from you. Freebies and paid resources. Right now my sons are enjoying the Alliteration Board Game! Thanks for make so many awesome resources! I love the printable games for my eldest and the alphabet resources for my youngest. All your printables are absolutely fabulous! Happy 6th birthday and thank you for all your hard work and resources that you’ve shared for last 6 years! Love love love your reading the alphabet curriculum i use it in my TK classroom. The kids love their little book at the end of the week after reading it on checkerboard all week. They are so proud of themselves. I love the blog posts with the lists of related books, particularly ones such as the Billy Goats Gruff stories. As I’m a collector of fairy tales, these are great to investigate new books I haven’t read. Hello! I use your roll and color activities in my play and learn class for preschoolers and they just love it!! I’ve loved all the free games and ideas for center activities. Especially since I’m just getting back into preschool after a 20 year leave! Thank you for all the wonderful math and literature ideas! Congratulations on the 6 years!!! 🙂 I have download & used numerous resources of yours – one that sticks in my mind is the CVC “Race to the Pond” games! Thank you for sharing so many things with us! My students really enjoy your segmentation activity card. The photos (instead of clip art drawings) keep they engaged. I meant “cards”. Also, CONGRATULATIONS !!!!! You are highly talented. I love and use regularly the ideas about the alphabet and, books, crafts and suggestions to teach the alphabet! I love all the phonics resources! Congratulations on having a sixth anniversary! I love all your products! I used your learning to read resources for my daughter who is now 9 (year 4) and has a very high reading level since pre-primary. I studied Early Childhood/Primary Teaching and your resources helped with student placements. I particularly liked the guides on how to, games, match and sort activities etc. I recently bought the guided writing resource on encouraging writing (Pre-Primary to year 3 up) and have also enjoyed the letters/alphabet book ideas for Kindy/Child Care. I also like your take on maths making it ‘hands on’ and engaging. I don’t know how you do it all with a busy household and I take my hat off to you. May God continue to bless you and your family, may you work on this ‘Measured Mum’ website be profitable and bless you. All of your resources are awesome but I especially love the editable games. I love your reading resources! From the bottom of my heart, I want to thank you for all of the free high quality resources you make available to teachers. As a new teacher to kindergarten, your site is my go-to place, and I can’t imagine how much money I would have spent without your help. My favorite products are the engaging resources that support phonological awareness. Thank you so much for your generosity. You’re really an angel. All the resources are great! I have used the book suggestions periodically for my preschool class and the free printables a lot too! Congratulations on six years! Thank you for everything you do. You truly are helping us on our homeschooling journey! So far our absolute favorite is the card game for cvc words and the chart to mark real or silly words. My 4 year old loves it. I love anything that will make him a reader! We are currently using many of your activities. I also really appreciate the reading lists. They give me a place to start at the library and we always like the books you choose. Again, I just want to say thank you. I love the products you create. They were among the very first ones I found and started using with my son, who is 3. They are easy to find and use and I can see him learning. I also use some of them in the little preschool class I teach on Tuesday mornings for a moms’ group. I just purchased your letter of the week curriculum to use with my 4 year old daughter, and I am SO excited to start using it! I love these resources! Great ideas and could lots of great teachers to follow online and learn from. I love the readers, specifally the sight word readers!! I love all the reading and sight word helps you have. Anna, I love all of your materials! The Teaching Every Reader class is awesome, too! Thank you!! I love all of the resources! My favorite thing is how they are ready to use, easy to follow, and very realistic for the classroom. Three things that are a MUST! Happy birthday! You are a teacher’s treasure! Keep it up! The new Bossy R Words game is so cute and super fun! Definitely my favorite so far. Happy Birthday! And thank you so much for all you do. I absolutely love your products for my kindergarten classroom! Happy Blog Birthday! Congratulations on your six years! Thank you for all your quality resources. I especially like the phonemic awareness materials for kindergarten and grade one. I love the decodable readers, the differentiated literacy activities, and the many great resources focused on developing phonemic awareness. Huge fan. I am very grateful for all you do. I probably use the sight word resources most. I like all your resources related to phonics, spelling, and learned words. I am an OG tutor and use lots of your resources. Thanks and congratulations! I love all the products I’ve used from you! You make great resources! Happy 6 years! Congratulations on year six! I love alphabet resources. High frequency word resources are my favorites. Congratulations on Six Years! Congratulations! it’s hard to pick a favorite among all the great resources! The printables are great, but I also learn a ton from your posts. I really like the fun math and literacy games, especially when they’re made to be editable. I love all of the resources I have encountered so far, but especially sight words and reading activities for early learners. Thank you for this opportunity to get to know more of your incredible work. Well I just found this blog a few months ago by searching for task/clip cards! I use them every day as morning work for my kindergarten students, and they love them! Happy Birthday! I really like your book lists. I love all the early learning activities. I especially like phonological awareness and activities for beginning readers. I have used your dice games a lot too! I have found something wonderful to use on this site for all content areas. Thank you so much for all your hard work. Happy Anniversary! I love your sight word and letter-Identification resources! I love all of your resources. I use the math and reading ones in my first grade classroom. My students really enjoy the rhyming word boards. I love the editable games that I can easily differentiate for the many ability levels in my classroom! I have been following your blog for many years now! I love all your resources because they are easy for kids and printer friendly. I love the reading books for the sight words (with the reading curriculum from This Reading Mama) and all the printable math games. Happy Birthday! I love the freebies, especially the phonics and the math! Congratulations on 6 years! I love all your products but the ones that I have found the most helpful this year have been your phonic games. They have been so easy to use and so helpful. I teach multiple grades and at multiple schools so having the ability to target specific skills and transition quickly between groups without having to set up multiple activities has made my time for efficient. I can simply switch out the sheet in the sheet protector and I am good to go. Thanks so much for sharing your resources which I’m sure took a lot of time and thought to create. I love the fun and cute things you post. Thanks for sharing your talent! Right now, it’s the sight word activities. I love all the sight word activities and all the free printables. Happy birthday! I love your free Printables for preschoolers! I like sight word and early math. I love all the ABC ideas. I do a homeschool preschool with each of my kids when they’re 3 (and usually some nieces and nephews join us too) and the ideas and resources on the ABC section are my go-to starting point when we start a new lesson! I love your freebies. I’m currently am using a few of your beginning sounds printables with my 2 girls. They are extremely helpful in our homeschool. As I am a first year, first grade teacher, the phonics resources have been so helpful! Your free printables for writing and math are great! I use all the phonics and reading printables. As a second grade teacher I have so many different levels. And it is so easy to print and go. I love the Math and Reading worksheets. As a special education teacher, I know my students need lots of practice on letter identification, letter sounds, rhyming, and CVC words. the Measured Mom offers up quick and easy activities that are both effective and engaging for my students. I can often “print and play” with very little prep. This has been wonderful when I have multiple students needing practice on multiple skills. Thank-you! I like and use your language activities with my Elementary self contained students. I love the self-checking/self-correcting literacy games! My learners who need extra practice can get that practice without being overly public about what they struggle with– being able to self-check and self-correct is a huge boost to their confidence and making it all the way through an activity and getting everything right is an even bigger one! Happy Birthday! I found you through my little guy’s preK teacher. You’re A to Z Alphabet resource has helped reinforce what’s he isn’t learning in school. Since starting those extra sheets in October he has mastered his letters and knows an object for every one. Amazing how fast he is catching on. THANKS A BUNCH!! I love everything you post having to do with pre k – and I appreciate your kindness with sharing free resources that help me (my first year of pre k) stay afloat! You are asking me to answer a very hard question! I love everything, your work is amazing, it is very hard to choose from. Love them all. Wow! It’s hard to decide which is my favorite, I use so many of the resources you provide. Thanks for all you do, you make my job easier. I love your center resources for my younger and behind students! I enjoy the weekly newsletter and freebies. Math and Literacy is my focus. Thank you! I love all of the materials and ideas I have gotten from you. Thank you for sharing them. I tutor in a kindergarten class and have found yourletter identification, letter sound and initial sound freebies to be invaluable! Thanks for sharing! I have so many resources I use and love from your site!! The kids love your letter find packet!! It’s simple enough they can handle on their own without asking any questions. I just found the rhyming pinch cards! I can’t wait to try them out, I love the self checking circle on the back!!!! Happy Birthday/Anniversary! I love your products and ideas and look forward to many more years of your work. I love all your products and use quite a few of the 3-5 year old and Kindergarten resources. Relatively new here but so far my faves are the Alphabet letter activities! I love the games and printables for 1st grade. I teach 1st grade intervention and your materials are a lifesaver! I love this website for my kiddos (2 and 4). Nearly all of the alphabet and Number games we have done. I really like the resources you provide, especially those related to literacy. I use quite a few with my K-2 children. The blank word list games have been helpful for my autistic son. Thanks for sharing such great resources! I’ve loved the one person games for my first grade boys. They can be so competitive and with themselves, no one gets upset! I’ve also LOVED the problem solving activities. I work with all grades 1-5 for reading help and these are great for my 3-5 struggling readers. It really makes them think and read carefully and they love them! Can’t wait for the bundle! Love the clip cards and elkonin boxes! Lately my favourite product is the Mystery Dog/Snowman games, but I use a ton of your stuff all the time! We really love the sight word reader books , holiday readers and sight word sheets. They have been a very fun change for my son. He is having some struggles with reading and it has really helped to build up his confidence. I use the literacy games the most! They are perfect for practice decoding and those tricky vowel teams! I’m so glad I found your website. It has been very helpful. I love your alphabet worksheets! I have found the alphabet resources extremely helpful. Thank you for creating them! I use your preschool handwriting sheets each week. I love the different sizes of letters to hit a wide range of students with different fine motor skills. I love basically every Kindergarten resource I have found here! I love the phonics readers. They are easy for kids to feel successful with, but they actually have to read the word first, without picture clues. Thank you for your hard work! Happy Birthday! I have so many things from #themeasuredmom that have been incredibly helpful in my classroom! Currently I’musing the beginning sounds game (all 25 of them)! These games have been so helpful in helping my son to isolate the first sound in a word! I have printed out so many things that I can’t even think of them all! Thank you SO MUCH for the work you do! love so many to pick just one! It’s hard to choose just one favorite, but I tend to use the phonics and word work activities the most, so I’ll go with that. Thanks for sharing your great ideas! I love the math games and the phonics printables the most! I love your blog and recommend it to everyone I know! The Letter of the Week stuff is my favorite I’ve used the most with my girls from 2-4. I love the sight words resources! Thank you for sharing valuable resources! I love the print and go sets! They are easy to use and work great for a quick switch. I like your thematic unit resources. I’ve has a lot of fun with your pocket chart sentences, emergent readers, and games. Thanks for sharing your knowledge and resources. I LOVE all of the freebies that you have! I use a ton of the math and literacy games for 1st grade and my kiddos LOVE them! Thanks for all you do! I love your blog. I have a two year old and use your products now and I can’t wait until she’s bigger for the older products!!! Which resources from The Measured Mom do you like or use the most? I love the preschool age printables! I love the variety of printables for both my 4 and 6 yr old girls love to read the blogs and get ideas too! Love this site! Happy birthday! I’m so glad I found your resources. We love your books and sight word games the best! Wait, the mystery games are a favorite right now too. Everything is wonderful!! I really like your ideas. Students like to use your resources. Thank you for sharing. I love the games that you have for the vowels. It really helps my low level readers practice word patterns we are working on for the week. I love all of the preschool resources! Free printables are my favorite thing! I have used many of your freebies. I especially enjoy the differentiated write the room options. Congratulations on 6 years! I love the alphabet and CVC word resources. I use the phonemic awareness, phonics, and other reading materials. I love this sight. Happy birthday. Thank you for all the great materials! I love all of your products but if I had to choose, I love your little phonics books! My kids LOVE to read them and it gives them practice with the specific concept I am teaching! I absolutely love all of the games and editables! I am a first year kindergarten teacher, so I love the emails with the resources and different ideas for lessons. It is so nice getting new ideas that I might not have ever thought about! You have been a great help and a wonderful resource! Thanks! Thank you so much for all the tips, tools and resources. My 1st grader struggles in reading and spelling and with your help we’ve made huge progress forward!!! Congrats on 6 years! I know it’s been at least 4 or 5 years that I’ve been following you now &, as many others before me have said, I absolutely love ALL of the resources that you provide! But I especially love the No Prep Math & Literacy Bundle & all of the other No Prep resources you have shared along the way. I use them to supplement my 6 & 8 year old’s public school education & they save me a ton of time. I really enjoy the word printables for my kinder. I love the reading and handwriting resources! You do an awesome job! I really like your count the words printables. Those are so helpful, thank you. I read the tips that you offer in your blog. I like worksheets too, but try not to get too heavy with them. I enjoy your book lists in reference to the subject of math or holiday. I think I have been with you all 6 years. I started mostly using your beginning sound mats (and also got some of my coworkers using them.) I have used many of your reading resources, both free and have bought them as well. Most recently, I have used your number recognition activities. I work in Special Ed with 1-3 grade kids but their academic levels are more of pre-k to 1st grade. Thanks for all that you do to help us out. We are always looking for different ways to teach the basics. Every learner learns differently! I love all of your materials, but your reading resources are great. I am teaching primary for the first time and they have been a wonderful. I’m used to teaching upper elementary so I needed resources. I signed up with a different e-mail address than the my facebook account. I love the 4 in a Row games, the read and stick mats, worksheets…. I could go on and on! Thanks for the high quality materials! I love the maths games, especially the place value and time games. I use them regularly. I love everything I read from this blog. LOVE all that you post! All of the CVC products are my favorite! Teaching Kindergarten, I find that I use your resources more than anything at all. I even have a folder on my computer of activities I use the most! I cannot thank you enough for all your work! I love it! All quality products and amazing freebies. Word Slider cards for sure! I LOVE your early literacy resources. I teach Kinder and your activities are the ones my kids like the most. They learn so much while having FUN. Thank you for sharing your work! I like to use your math game and sight word game resources. Your early literacy activities are the BEST! Thank you for access to some fabulous resources that have increased my students’ level of proficiency in ELA! I love all of your products! I use the Alphabet Action Cards weekly. I love all of the products and games. I especially love the reading games which I find very useful and helpful. Oh my goodness, you have way too many awesome resources to pick just one! I use a lot of the phonics and math resources with my little kinders that come through your weekly emails as freebies. Thank you! I love the early literacy games that I’ve found on your site! They are very engaging. Phonics phonics phonics and sight words!! I love the alphabet search and find pages and your vocabulary cards. Your site is my favorite site to search first when I need classroom ideas. I love the printable games (both ELA and Math) that my class can use in centers. They are quick and easy for me and the kids can quickly learn what to do. Thanks for all of your hard work and happy 6th! I use many of your math things. They seem to fit how I teach. Thanks for asking! My son struggled with phonemic awareness, and I am so thankful for your elkonin box activities, your blend activities, and so many of the incremental exercises that are typically unnecessary for most people but so helpful for one with dyslexia. Thank you! I love all of your sight word games. I use them for my class and my grand children. Thank you for sharing. Happy Birthday! It’s too hard to pick just one thing of yours. The kids love everything I prep for them to do from you and other teachers constantly ask where I got things. Happy birthday! I love the hands on nature of your activities! Thanks for providing free printables as well! I appreciate all you do! As a preschool teacher living on a tight budget there’s always something that I can use from the ideas or printables you’ve done! Thank you! I mostly use your reading resources–games in particular. My students love them and they really help them to develop the skill they need. I love all of the ideas and suggestions in the alphabet curriculum. We love the alphabet tracing cards. I’ve been using those daily with my low Kinder babies and my ELL kiddos. I love getting the newsletter with the math games for the littles — so age appropriate and entertaining! I just recently found your site, and I look forward to using so much of your collection! I have an almost 3 year old, so right now I am using your beginning letter worksheets and will soon start to play with the cards. She enjoys the worksheets a lot, and she’s always excited to do “school” with Mommy or Daddy! I love the short vowel activities!!! I enjoy using the reading/language arts materials the most. I love your Walk Around the Room short vowel activities!! I love the word family houses! It’s a fun, versatile, and easy way for the kids to practice word families and rhyming words! Your blog is great! I use the letter of the week curriculum. The kids love the activities. I love all of your materials, especially your reading materials! I use your rhyming activities, letter recognition and identifying beginning sounds in my small group reading lessons. They have helped me plan and prepare for strong reading instruction. Happy 6th! You do a phenomenal job and all your work is greatly appreciated. Thank you for all that you do …… continued blessings! I love your freebies! I am a Learning Support teacher and find your phonics readers to be so helpful in reinforcing the concepts I am teaching in my small groups. Thank you!!! I have found the preschool products to be the best yet. The learn to read books are in good use,in my class, at present. My sts have really benefitted from so many of your invaluable teaching tips. I also enjoy your weekly survival blog. It keeps me strong. Happy Birthday. Wishing you many more. I love the Simple Sight Words books. I also enjoy all the free printables and resources included in the newsletter. My kids and I love the editable sight word Lilly pad game. As a math interventionist, I love the variety of math activities for my kinders through 5th graders. HAPPY 6th BDAY!! Really love all things PHONICS, I enjoy how easy you can print and laminate and introduce to the kiddos how to use. Thank you for all of the amazing free resources you provide. I have also bought many of your resources and have been so pleased with how they help put the “fun” into our homeschool days. I love the weekly emails. I have downloaded a number of resources from you. Your resources have made my transition to Kinder so much easier! I truly appreciate all of the free items you share. I really love the editable games! I love all your resources. The editable games are the best. I use them to reinforce the literacy work we are doing. The children really enjoy the games,and often have their favourites which they will ask for. Thanks again. I love all of the products. The games are so much fun for the kiddos. They have fun while they are learning. Thank you so much for all of your resources! All of your literacy freebies are excellent and highly applicable. Your emails are highly informative & timely. I’ve enjoyed using the math games a lot! The kids love them! In my home we love the printables to help my little with matching and identification. Our favorite activity was coloring our own rice and using Joann’s clearance alphabet beads to match letters. Bingo markers have also made an appearance. Keep em coming! I love the variety of freebies that you offer. Thank you! I really find the preschool lessons helpful when teaching my 4 and 5 year old children. I like the math and literacy activities. I love how relevant the material on this page is to my home life with my 3 year old (soon to be 4) and the students I work with. I love the different variety of items I can use for the different levels of my class! I teacher Special Education Reading so usually anything phonics, spelling is what I like to use most but EVERYTHING is AWESOME. Congrats on this very special occasion. Thanks for all of your hard work, and making the material so easily accessible. My favorite resources are your games. My class is currently using some of your digraph and blend games and they are loving playing these games. Happy Anniversary and a hearty congratulations on completing 6 years! I must appreciate and express my gratitude for the years of hard work you put in to making various resources, that are widely available for use and has helped many children. Thank You! I love all your resources! They are meticulously designed and created to suit the needs of learners. I use most of your resources that are related to early learning, especially the reading activities. The most useful and sought out resource was the ‘Book List’ you have created with various categories. I refer the lists quite often when choosing a book for the kids. I love anything related to writing! I love the freebies and the newsletters! I love the first grade and sight words resources!! As an RtI teacher, I love so many of your resources. I use many of the phonemic awareness activities. I enjoy all of your resources. I’ve been using early literacy and sight words most often with my special education students. Thanks for sharing your work! I’m a special education teacher working with 3 different grade levels. Your products are so helpful and the kids love them! Oh My Gosh!!! How could I possibly choose! I have a 3 year old and I love the Preschool Math at Home! I have loved the letter sound pages. My students have really done well using them. My kinders love practicing beginning sounds with your beginning sound boards. I printed them and put them in plastic sleeves so they get to use wipe off markers and practice when they finish their other work. It’s helping expand some of their vocabulary as the pictures are a little different than the norm. I can’t wait to start with some of the other pages when we get to blends and other spelling patterns. I love all of the phonics, sight word, and all of the MANY reading activities that are provided on your website. I love the reading games and so do my kids! I love the clip cards. My students enjoy seeing if they have selected correctly. Thank you so much for all of the freebies you give us. Happy 6th anniversary and I wish you many more!! Congratulations on 6 years! The vowel worksheets have been so helpful! Thank you! Happy Birthday Blog! Teaching in an English school in Nicaragua can be challenging when looking for resources. Your site has been a wonderful help. Thank you! I have downloaded so many of your resources it is hard to pick just one but I love your beginning sound games, beginning sound picture sorts, rhyming games, and math games/ideas as well. Thank you for making so much of your material free. I teach a transitional kindergarten class and you’re my go to resource when I need more than a worksheet. Thanks and congrats on 6 years! I love the weekly emails! Thank you for all your work. You provide wonderful resources! I have not found a resource that I did not like, but my favorites are the identifying letters for my kinder students. They love them and it allows them to be independent. I absolutely love the ABC’s of preschool activity. I use it to do a letter of the week with my kindergarten students and they love all of the hands on learning! Our favorite materials are for learning letter sounds. As my child mastered those, we have moved to early reading materials. They are fantastic! Thank you for all of your excellent resources! My 1.5 year old daughter loves the matching memory games ship. Thank you Anna for all you hardwork. My reading intervention students really enjoy playing your Roll a Digraph game. I’ve printed off several to match which digraph each student is ready to practice. Thank you! Love it all! Thank you so much for your hard work! You’re truly inspiring! The editable games for sight words and CVC words are fantastic! They are engaging and can be differentiated so easily. Both my students and myself love them! I really love all the teaching aids, I have used a lot of the flash cards to help with my curriculum and they always fill in the information and help it click with the kiddos! I love using your products in my classroom for my intervention kids. They are awesome. I love the 2nd grade math resources!! I teach ESL and love your phonics books and games for my early learners. They pair simple text with a phonics pattern and picture! They are terrific. You provide so many useful resources. I use many of them. I work as a Title I Teacher at the elementary level. It is often difficult to find useful and fun materials. I especially enjoy your literacy items, however I use the math just as much. I also like how you incorporate themes, seasons, and holidays into lessons. I only have my groups for 30 minutes a day, which, in reality, ends up being 20 minutes of teaching time so your materials are perfect! Thank you for being so incredible!!! I love all the preschool and early elementary literacy resources. They are helping me with my 3 year old and my kindergarten students that are performing below grade level. Thanks! I am a special education teacher and the phonological awareness products are fun and engaging for my students! I have used so many of your resources it is hard to pick a favorite! I love how user friendly and easy to set up the resources are. Thanks! Happy Birthday and thank you for being so generous with your knowledge. Stay at home moms everywhere benefit from your terrific information. I have 4 grandchildren 4 and under and I am already working on files for them to learn phonics, grammar and writing skills. I love your literacy games and activities- sight words and vowel practice. My students love them, too! Your the best resource I have used! I look at your website constantly for tips and tricks for teaching. Your clip cards are probably the most used resource that I have downloaded from your site-I love to incorporate them in centers and my small groups. You are a blogging treasure! I use you phonics readers all of the time when I teach phonograms. Thanks for six years of being a valued resource! Congratulations! I love all your resources, but the ones I use the most are those related to literacy and phonics. Thank you so much! Happy birthday to your blog! I like many of your resources, and my eldest son has been using them, having fun and learning along as well. I suppose he enjoys solving the mystery problems very much lately. I would like to try the writing lessons with him soon. Thanks for sharing so much with us. I use all of your free math games for the math intervention I provide at my school as the Math Specialist. The students love playing them! The games are easy to use while providing effective math practice in various concepts. Thank you so much for creating these freebies! Congratulations! I love your blog, I find so many great resources. Thank you!! I love all of the resources for CVC words! They are perfect for my struggling readers. I am new to your site and don’t have a favorite yet. I love your blogs and site! Yours is one of the few that I actually take the time to read. You are very inspiring! I use your resources daily with my 5 year old. I love the letter of the week curriculum! I love pretty much all the resources available. I love how the letter of the week pairs with a book list, printables, and hands-on activities. I have loved using the beginning sounds cards!! I also love the teaching tips! Thanks for providing such a great resource! I love the no prep games. We are using your bingo addition games a TON right now! A fun giveaway! Thanks for being so generous!! so far I am enjoying all of the phonemic awareness and phonics resources! I am new again to 2nd grade, (2nd year back), but have been teaching for 29+ years….I love the resources available to us from your blog and weekly emails. Keep them coming! It’s so difficult to choose what my favorite resource is when they are all so helpful and amazing depending on what I’m using them for. I love the vocabulary cards, teaching tips, maths games, reading resources.. ah they are all such winners! Thank you for always being real with us and making sure you have us (teachers) covered! I love your resources for sight word learning. You’re my go to resource. Thank you! I love the printable readers! Happy Birthday, TMM!! Wow, I bet you never dreamed how many people’s lives you would have impacted when first starting this webpage! You are an amazing person and I absolutely love ALL of your things!! I have used several things from each category for my class or my own children! Keep up the good work! You are an amazing teaching tool for us. Thank you!! As a professional educator, I appreciate the “age-appropriateness” of the resources. As a homeschooling mama, I appreciate the easy with which I can teach my children without having to create every resource. I have used the Letter of the Week curriculum with all three of my kiddos. I love all the hands on ideas and printables. I also use so many of the reading resources and printables on the site. The clip cards are definitely a favorite in our house! Happy birthday! I love all the FREE activities! I can always find something to cover the skill I am working on. I love all your ELA center activities. I am a 1st grade teacher and have a boy that is having a hard time with is letters and letter sounds. I come here looking for activities that will engage him and wala….. I find some very good activities with rigor. Najčešće sam koristila Vaše igre i aktivnosti rješavanja problema. S obzirom da ne živim na engleskom govornom području, dio materijala moram prilagoditi – prevesti na materinji jezik kako bih ga mogla primijeniti. Hvala za svaku ideju koju podijelite s nama. I love the Letter Sound Cover activity! Which resource do I use most? Ummm, who could choose? Of course I love sight words, I have the large, super creative letter of the week pack- love that!, math games and preschool counting bin ideas, oversize letters, rhyming clip cards, syllable clip cards, holiday packs, lego card games (more math, really fun), I loved the series on teaching writing as well. I really can’t choose both those are my top ones. Your products are amazing! The most helpful activities include comprehension and retell in grades K-2. PLEASE keep your products coming, they are so much help for a beginning teacher!! Thank you so much for all your hard work! I just started using the free printables and love them all so far!!! I love everything I’ve found on this site but I think my favorite is the various clip cards. They are great activities for my students to do when they finish an assignment early or when we are short-staffed (I’m a special ed teacher with 4 para educators). The kids can do the cards independently with adults only needed for checking/helping to correct answers, so one adult can oversee several students. The variety of topics and skill levels of the cards ensure there is always something appropriate for each of my students. Just recently purchased your winter pack theme. My kids have been thoroughly engaged and are having so much fun utilizing all the resources packed into it. It’s wonderful to see them learning and making connections using your products especially with my son with Autism. Thank you for all the hard work you put into creating these fabulous resources. I love all your pre-school freebies! Thanks for making these and sharing with everyone! Congratulations and many thanks for doing this for the past 6 years (and more)! Thank you for the wonderful freebies, really makes life easier for many less creative mothers like me. I love using your resources to teach my daughter her alphabets. Thank you! Your reading resources are so helpful. My students enjoy playing your Connect 4 games. They don’t even realize that they are learning while they play! Happy 6th Birthday! I love the phonics resources! Bossy R games are some favorites of my kids. I love all your products. I am just learning to teach phonics and your materials are informative as well as motivational. I enjoy your entire website and especially that you offer free activities. Thanks for all you do & the energy you put into your site! I really like all your resources. though I can’t name what resources I really like. But one thing I can say, THEY ARE REALLY AMAZING and useful. Especially those free printables. Having access to them helps me a lot. Cheers to more years and more resources, too. Love lots! I have been purchasing (and receiving ‘freebies’) many resources over the last couple of years and it is too difficult to pinpoint the best……THEY ALL ARE! Love most of your Work. Its easy to follow and apply practically. Thank you for sgaring it all on subscription newsletter. Happy 6th birthday year Anna, I love the weekly emails and all the freebies. I really love your printable resources, especially the pre-k ones. Thank you for for all the resources and work you put into this. Congratulations on 6 years! I’m relatively new to your blog, but your resources never helped so much with my struggling reader. Thank you for the giveaway! I think my favorite resource has been the printable readers. Thank you for all the hard work you do! Congrats on 6 year! I love the editable games, the blog posts about how to easily use various resources you develop, and the fact that you provide activities for different ages. Thank you!! I love just about everything you have! I especially like and use blackline activities that I can use with my class of 22. I also use the colored activities with my grand children. How do you pick just one favorite?! I love the printables for early learners! The phonics resources are very helpful for my ELL students. Thank you! I am a HUGE fan of your sensory LOTW curriculum. I especially love your letter books and rhymes. I also really appreciate your 120 math easy-print-and-play printables for K-2. I have several children under the age of 7 and it is nice to have a variety of learning activities for them. I also appreciate the free learning emails where I learned how to teach a Lefty how to write. 🙂 Thank you so much Anna! I don’t necessarily have a favorite because I like a lot of the products. The letter of the week is helpful and I really enjoy getting the freebies!! I like all of the freebies for phonological awareness for Pre-K. They are great supplemental resources. I love the rhyming resources and books for little readers. I have a toddler and teach Kindergarten. Love what’s available. I teach special education. I have a student with autism that loves the real word/silly word blending game. It has been fabulous for him and many of my other students. I use your printables and your advice constantly, and frequently forward your posts to my granddaughter’s teachers and other teachers I know. Thank you for creating and sharing so many wonderful materials! I love the image cards, they’re colourfull and very easy to use. Your resources are always so useful. Thank you for all that you provide. Time flies when you enjoy what you are doing! Congratulations on six years! I love getting your newsletter because I download and use almost everything you share. I have used resources for Kinder summer school and now reading intervention for grades K-4. You have great quality resources that students enjoy using. Thank you for all you share through your newsletters and free printable site. You are helping teachers everywhere provide quality activities for their students. I love all of your resources of which I have used. I work with students of all ages (elementary) who need extra help in reading. I especially love your alphabet and phonics activities for my beginner readers. There are so many terrific resources and best of all, many are unbelievably free! It is hard to pick a favorite. Recently I have used the problem solving and write the room activities. This site frequently helps me out. I am a K-2 special education teacher so I use a lot of your resources especially in reading and math. The resources are a great way for my students to practice their skills or in learning centers. Do I really have to choose? Your worksheets, games, booklists…..I use it all! I enjoyed using your Short Vowel Games. It covered a broad area of learning and engaged my students in the games. Your no-prep activities are a bonus for me. Thank you also for your freebees. My wallet appreciates it. I can’t choose which is my favorite because I love all of your resources/games that are age appropriate for my students (K)! It truly fascinates me that you are able to do all that you do and survive! Thank you so much, you are greatly appreciated and inspirational! Happy 6th and wishing you many, many more! I love the new Mystery Problem Solving Activities! The Measured Mom has developmentally appropriate math and literacy games for my kindergarteners. Her website is a wealth of information. I have found many amazing rhyming and syllable activities. I find that nearly all of your resources have been useful to me as an ESL (English as a Second Language) for children in grades K-5. Thank you! My granddaughter loved your Pete the Cat puzzles. I love using the tracing pages. I print them and put them inside plastic sleeves and it allows for endless practice for my preschooler(s) without extra paper waste. I love everything. I’m a reading teacher and mom of 2 kids under 6. Your resources are perfect for teaching my kids and students. i love how colorful, simple and easy they are to use. I love the resources I have used/ checked out! As I just moved, and began teaching 2nd Grade I haven’t been on as much! I am trying to get back into the groove of things though— now that I’ve officially been teaching for a “year.” 5 months in Mississippi teaching first grade and just made 5 months in Virginia teaching second grade! So thank you for everything you do to make it easier for educators! I can’t wait to see all of the new resources you’ve created! I would be excited to get your Spring theme pack!! I have loved all of the stuff I have used! I moved from 1st grade to pre-kindergarten this year. Thanks for the great materials! I have loved your print and play math resources. My 2nd & 1st graders are loving the “fun math” follow-up games. Thanks for all you do! I enjoy using your site to help home-preschool my daughter. She loves the printables and so do I. Thanks for the resources. Yours is such a helpful set of well thought out and executed resources. My students and I especially enjoy the short vowel game boards. Thanks much! I like all aspects of this site. I like the weekly emails and info about your family and works for kids you work with as well as the games, worksheets, and tidbits that we as teachers sometimes forget because we get in the routine of doing the same thing and trying to get everything done in a day and forget to put the “fun” into learning. Thank you for everything!! I use so many resources. I use a lot of rhyme, letters, sounds activities in my classroom and I also use multiplication resources for my ‘biological children.’ I refer to my students as my kids, too, so I had to be specific! The alphabet worksheets so far–I’m still exploring! Thank you! I love your posts and products! As a Reading Interventionist I have used many of your products. My students always find them engaging and find success when using them. I am always surprised at how many materials you offer for free as well. Thank you!